Join us as we celebrate 13 wonderful years at Tree of Life! 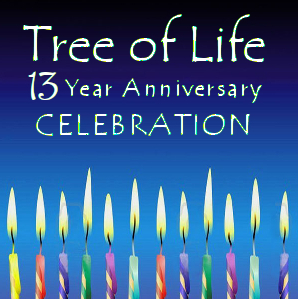 Join us as we celebrate 13 fantastic years at Tree of Life. We will be hosting a psychic faire with our many talented readers, healers and a few surprises too. Come by and enjoy a session at our special reduced faire price. After the faire stay for a fun party! We will have giveaways, specials and treats all day as well as high fives, hugs, and the warmth of friendships new and old! We look forward to celebrating with you (because you are totally cool)!